Former state senator Antoine Thompson has a new job. 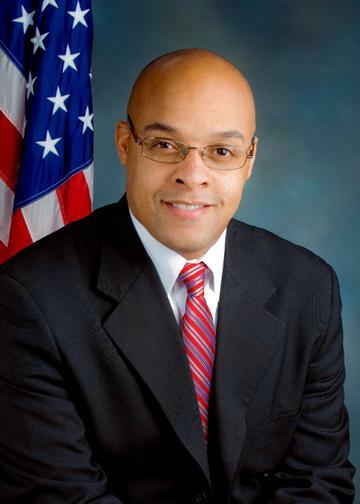 Mayor Byron Brown has appointed him as executive director of the Buffalo Employment and Training Center. WBFO's Eileen Buckley asked Brown why he appointed Thompson to the more than $79,000 a year position. Brown says as a former city council member and senator, Thompson has a "great awareness" of how the BETC functions. The Mayor tells WBFO News he is not concerned some might perceive the hire as political patronage. "Not worried at all because former Senator Thompson has been out of office for over two years now. If this was simply political patronage I would have him for a position 18 months ago. I didn't do that," said Mayor Brown. Thompson was defeated in 2010 by Senator Mark Grisanti. Thompson announced his appointment as executive director on both his Facebook and Twitter pages, saying he was starting the new job Monday.